John Butler Trio are one of Australia's most successful independent artists. From his humble beginnings as a busker on the streets of Fremantle, John Butler is now an Australian Icon. a fresh take on JBT’s signature sound. Cascading acoustic riffs flow effortlessly over driving rhythms while sun kissed steel drums and an inspirational melody and lyric delivers a quality summer soundtrack. 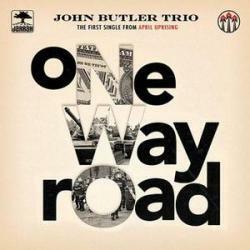 OneWayRoad is a combination of most of my musical influences; dancehall, roots & rock. We found a way to bring all these feels in a way that sounds natural.